Is Swift the Way to Go? Avraham and Sorah Adler* are celebrating the bris of their firstborn son! Avraham knows that one should perform a bris as early in the morning as possible, and, therefore, he would like to schedule it for immediately after the “neitz” minyan, which begins the Shacharis Shemoneh Esrei exactly at sunrise. Sarah feels that she will have no difficulty having herself and the baby ready in time. 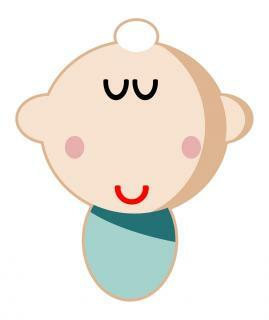 However, the new grandparents feel that the bris should be scheduled later, so that more guests will arrive. Who is correct halachically? There is a principle of the Torah, zerizin makdimim lemitzvos, that one should perform a mitzvah as soon as the opportunity arrives. To quote the Gemara: One may perform a bris milah any time during the day, but one should try to perform the mitzvah as soon as possible (Pesachim 4a). Thus, since the earliest time to make a bris milah is at sunrise, one should perform it as soon as one can. As a source for the law of zerizin makdimim lemitzvos, the Gemara mentions that when Avraham Avinu was commanded to bring his son, Yitzchak, to the Akeidah, the Torah emphasizes that Avraham got up early in the morning to fulfill his mitzvah. We also find another Biblical source in which Dovid Hamelech lauds those who perform mitzvos at the first opportunity; I hurried and did not delay fulfilling Your commandments (Tehillim 119:60). Our enthusiasm to carry out Hashem‘s commandments should manifest itself in a desire to perform mitzvos as immediately as possible. We should bear this in mind for every opportunity that presents itself, whether it be to perform a chesed or to fulfill one of the laws that we do not necessarily understand. As an example of zerizin makdimim lemitzvos, the Gemara requires one to check for chometz as soon as the evening of Erev Pesach begins, and not wait until later that night. In a different article, we discussed whether it is more important halachically to perform a mitzvah in a more exemplary fashion, hiddur mitzvah, than to perform it earlier. Briefly put, most authorities contend that it is of greater importance to perform a mitzvah in a more exemplary fashion than to perform it earlier, whereas the Gra contends that performing the mitzvah earlier is preferable. We can now analyze the issues involved in our question: When should one schedule a bris? Should one schedule the bris at the first possible moment, because of the mitzvah of zerizus, or should one delay the bris in order to have a larger crowd attend, which is itself a halachic preference, called berov am hadras melech, a large group of people (attending a mitzvah) honors the King. The question is whether berov am hadras melech is similar to performing a mitzvah in a mehudar way, and therefore is a reason to delay the bris so that more people can attend (according to the majority opinion that hiddur mitzvah is preferable to zerizus), or is it preferred to perform the mitzvah at the first opportunity? Why should there be a difference? Hiddur mitzvah means that there is an improvement in the quality of performance of this specific mitzvah, such as using a nicer sefer Torah, purchasing a more beautifully written mezuzah, or davening with greater concentration. Most opinions contend that it is preferable to perform a mitzvah in a more proper fashion than it is to fulfill observing the mitzvah earlier. However, berov am hadras melech does not change the quality of the actual mitzvah performed. The Bris Milah is not performed in a more meticulous fashion because more people attended. Having more people in attendance is a halachic preference, but it does not make the bris into a more mehudar mitzvah. Can we prove that one should delay performing a mitzvah in order to accomplish berov am hadras melech? It appears that we can. The Mishnah teaches that Hallel is always recited immediately following Shacharis, whereas shofar blowing is performed before and during the Musaf davening. The Gemara asks why we make sure to recite Hallel early, yet we delay blowing shofar. The Gemara suggests that the reason that the shofar is blown during Musaf, and not during Shacharis, is because more people attend Musaf than Shacharis (sigh — I guess times have not changed) – thus, there is greater berov am hadras melech to blow shofar at Musaf than at Shacharis. The Gemara, however, counters that were this logic true and berov am hadras melech supersedes zerizin makdimim lemitzvos, why is it that Hallel is recited after Shacharis? Should not its correct place be after Musaf so that more people participate? Thus, the two rulings appear to contradict one another, the practice of Hallel implying that zerizim is preferred, and the practice of shofar implying that berov am hadras melech is. Obviously, this cannot possibly be! There must be a method whereby we resolve this contradiction. The Gemara responds that the shofar is not blown until Musaf for a completely different, historical reason. At a certain point in history, the government prohibited the blowing of shofar and posted guards in the shuls during Shacharis; at that time, the point in davening when shofar was blown. The guards dispersed when they noted that the Jews were no longer blowing shofar in Shacharis. The Sages then instituted blowing shofar at Musaf, because by that time the government guards were gone (Rosh Hashanah 32b). Thus, the practice of blowing shofar around Musaf is because of exceptional circumstances unique to shofar that should not be applied elsewhere; otherwise, zerizin makdimim lemitzvos supersedes berov am hadras melech, not the other way around. When delaying may result in missing the mitzvah altogether, one performs the mitzvah as soon as possible. The same is true if delaying the mitzvah for the hiddur may result in a long delay – we perform the mitzvah as soon as possible. Although having many people in attendance enhances the observance of the mitzvah, the idea of berov am hadras melech does not take precedence over performing the mitzvah earlier, and certainly is less important than performing the mitzvah in a more mehudar fashion. When Should I Schedule the Bris? We can now address the Adlers’ question. The authorities indeed conclude that one should not delay a bris in order to enable more people to attend. The preferred practice is to carry out a bris at the end of Shacharis. The original and favored practice is to perform it immediately after uva letziyon and before aleinu, such that all those who attended shul present for the bris, accomplishing both zerizin makdimim lemitzvos and berov am hadras melech (Shach, Yoreh Deah 265:24). It appears to me that this omission is intentional. The reason being that although other mitzvos should be performed as soon as possible, there is not as much concern about delaying the mitzvah slightly as there is in regard to mitzvas milah, which is the seal of the holy covenant. Since through this mitzvah the child enters sanctity, there is major concern not to delay…. We should therefore reprimand those who delay performing the mitzvah for several hours for inane reasons such as not all the invited guests have arrived…. Delaying the bris until the afternoon is very sinful (Aruch Hashulchan, Yoreh Deah 262:8). The Aruch Hashulchan then proceeds to ask why we wait until after davening to perform the bris milah, to which he answers that davening includes several mitzvos, and since there are several mitzvos involved, davening should precede the bris milah. Thus, Avraham and Sorah are correct that they should follow the precedent of their namesakes and perform their son’s bris as early in the day as they can. Although their parents are correct that, in general, one should try to perform a mitzvah in a way that many people can participate, this does not, however, preempt performing the mitzvah as swiftly as possible. Sometimes the bris needs to be delayed because the mohel one has chosen is not available earlier, due to other brisim he has to perform. I will leave it for a different time to discuss whether this provides sufficient reason to choose a different mohel, who is available as early as one wants to schedule the bris. I would like to note that some yeshivos have rules when brisim can be scheduled, because the roshei yeshivah are concerned that the frequency with which brisim occur can result in many disruptions to the regular seder hayeshivah. It is certainly within the rosh hayeshivah’s prerogative to make such a rule. In my opinion, the bris should be immediately after Shacharis (in actuality immediately before Aleinu at the end of Shacharis), but the seudah should be scheduled for later in the day, when it is less disruptive to the sidrei hayeshivah. Our entire discussion revolves around whether and when it is important to perform a mitzvah without delay or if there are other mitzvah calculations that supersede the early performance of the mitzvah. The main point is that our attitude towards the performance of mitzvos should be one of enthusiasm – we are overjoyed with the opportunity to fulfill Hashem‘s commandments and therefore rush to perform His mitzvos as soon as we possibly can. This zeal must sometimes be tempered with a different type of passion — the desire to perform the mitzvah in an optimal way. It is wonderful that Jews share these two enthusiastic emotions and try to seek balance between them. *The story is real, although the names have been changed to protect privacy.